Chevrolet Volt is well known as first model to step into mainstream plug-in hybrid segment as long-range EV driving. Despite being a trendsetter it now has to face a good competition with other companies too jumping in with one or another model. 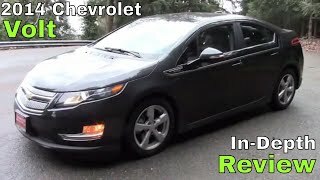 Looking ahead at competitors like Honda Accord Plug-in Hybrid, Toyota Prius Plug-in and Ford Fusion Energi, Chevrolet released its all new Volt 2014. Let us have a look at Chevy’s perspective to win the market. Interior of Chevrolet Volt 2014, hearing from us is a highly innovative creation. Being the first Chevrolet motor to use electrostatic switches, Volt 2014 on other hand looks gorgeous with its gleaming plastic colors. Two square shaped displays are located high on the dashboard for better visibility and also to provide display of main gauge cluster and central infotainment. 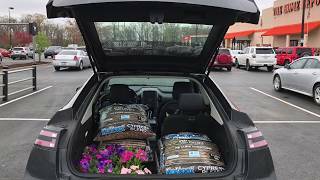 Talking about space inside Chevrolet Volt 2014 you might find it compact while looking for headroom and legroom but it has good trunk space and also provides you option to fold the rear two seats and thus exceed the space for your cargo. Some of the features inside Volt 2014 are MyLink Touchscreen radio, a diagonally seven-inch color LCD screen and three auxiliary 12-volt power outlets accompanied by few more regular ones. 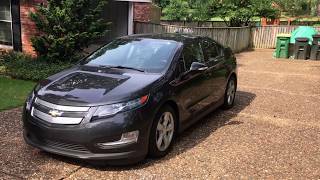 In all we found the interior of Chevrolet Volt 2014 futuristic and attractive with its looks and some features but it isn’t as spacious as many of you might expect their vehicle to be. Exterior of Chevrolet Volt 2014 features regular details like headlamps mounted on both the side of the small traditional Volt grille. Bi-functional halogen projector carries same shape and look like its predecessors. However we noticed LED running lights integrated in headlamps adding a classy touch to the entire front fascia of Chevrolet Volt 2014. Moving towards the rear side of Volt 2014 you’ll notice LED taillights mounted high, this particular unit to us looked a step ahead in comparison to other units featured in recent past. Bulky bumper gets a slim company of the reverse light mounted in center of it while the 17” five-spoke aluminum painted wheels with low rolling tires add to bit of aggression. 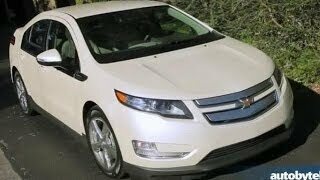 Chevrolet Volt 2014 comes with a 1.4 Liter 16-valve engine and 17 kWh Li-ion battery. The gasoline unit produces total output of 84 hp and peak torque of 90 nm while the battery delivers total output of 149 hp and peak torque of 370 nm. 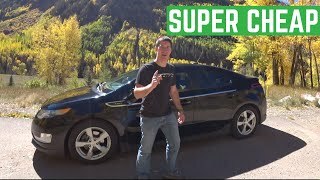 Entire system is paired to a Multi-Mode Electric Transaxle and makes your Chevrolet Volt 2014 reach 60mph from standstill in 8.7 seconds while the top speed stands at 100mph.